In northern Finnish Lapland on the icy shores of Lake Inari, time seems to come to a standstill. The municipality of Inari lying some 260 km north of the Arctic Circle is a destination that attracts far fewer travelers than the resort towns further south. 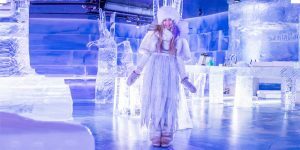 Gone are the crowds that flock to the northern city of Rovaniemi for the celebration-filled attractions such as Santa Claus Village and nearby Santa Park. 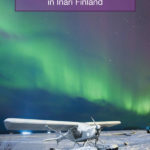 They have been replaced instead by a serene vibe that invites visitors to slow down and take in all of the things that make Inari Finland one of the most special places in Finland. The municipality of Inari has thousands of lakes and is composed of several towns. It’s namesake village, Inari, is about 300 km north of the Arctic Circle. Ts home to the third largest lake in Finland, Lake Inari. The town of Ivalo is the largest in Inari municipality and is 32 km south of the village of Inari. Ivalo has the only airport that services the Inari municipality. Head 30 km south of Ivalo and you will arrive at the popular resort town of Saariselka. While Finnish Lapland covers a huge area, the small village of Inari is where the heart of Lapland truly lies. What Makes Inari Finland So Special? Whether you are looking for culture, nature, or adventure, Inari has it all. 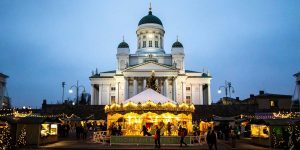 It’s just not wrapped up in as glitzy a package as many of the more famous Finland destinations like the Finnish capital of Helsinki and the famous northern city of Rovaniemi. Inari is brimming with gorgeous National Parks, glimmering lakes, and spacious forests. The legendary Saariselka is the northernmost travel destination in the European Union and boasts a variety of services. In Inari and other villages in the area, the Sami culture is still very much in evidence in everyday life. Here is where you find the genuine Lapland. During the summer, the midnight sun shines for two whole months in the region. And these breathtaking Inari attractions can be explored at almost any time thanks to the midnight sun. 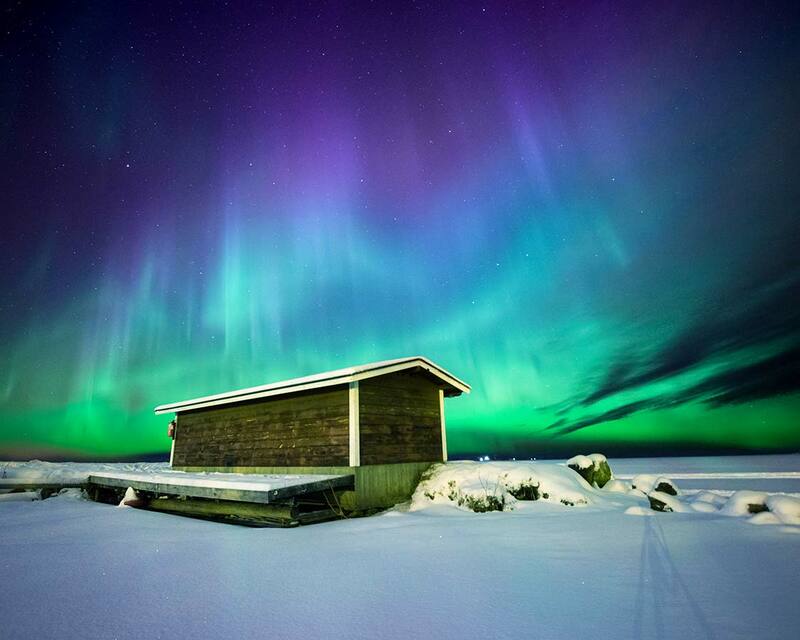 In the winter, Inari is one of the best places to see the Northern Lights in Finland. In fact, it’s not uncommon to witness this dancing light up to 200 times in a single year. The municipality of Inari stretches across northern Finland from the Norwegian border to the Russian border. The southernmost town is Kakslauttanen and the town furthest north is Pettskiko. It is possible to get to Inari by varying combinations of car, plane, train, or bus. 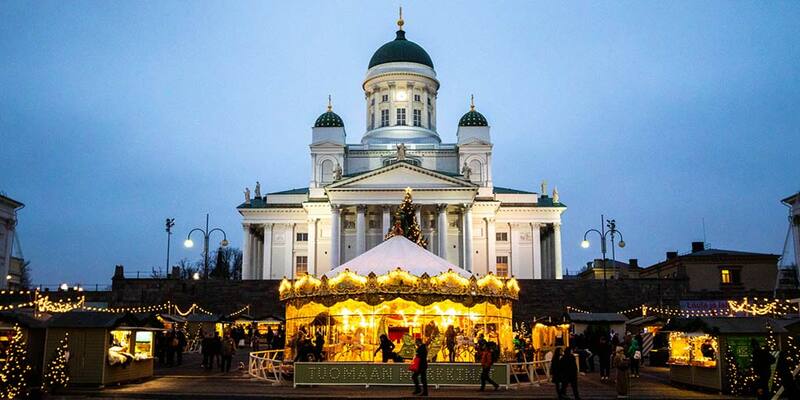 By plane, from the capital of Finland, Helsinki, visitors can take a domestic flight to Ivalo. If you want to head to Inari after visiting Rovaniemi to see Santa Claus, it’s a 330 km via HWY E75 which reaches through to the top of Finland into neighboring Norway. Though not frequent, there are also buses from either Helsinki or Rovaniemi that head north to Inari. Not only is Inari municipality the largest municipality in Finland, it is also the most diverse in terms of language with 4 official languages: Finnish, Inari Sami, Skolt Sami, and Northern Sami. This makes Inari one of the best places to learn more about Lappish and Sami culture. The village of Inari is the center of the Sami people, the only indigenous people in Northern Europe. There are a few places including the Siida Center and Sajos, the Sami Parliament building of Finland, that offers a fascinating glimpse into the life and culture of the Sami. The Siida center in the village of Inari is a modern, visually stunning exploration of the culture of Europe’s only indigenous people, the Sami. It chronicles the history, lifestyle, struggle, and culture of this incredible northern people. The Siida museum also explores Lapland’s ecology and environment by tracking the seasons from winter, to spring, to summer, to fall. You can check out their website for entrance fees and hours here. 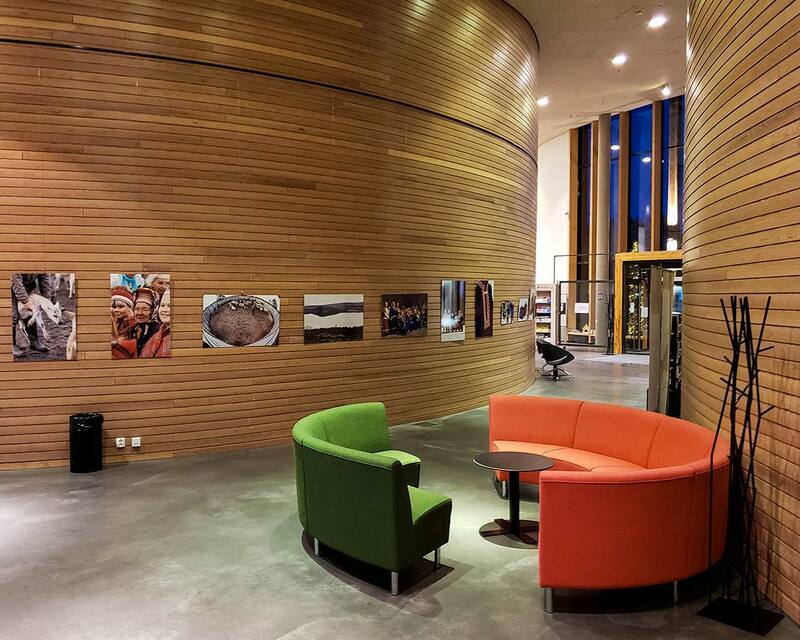 The Sajos Cultural Centre is home to the Sami Parliament Hall and Parliamentary Office making it the center of Sami politics in Finland. 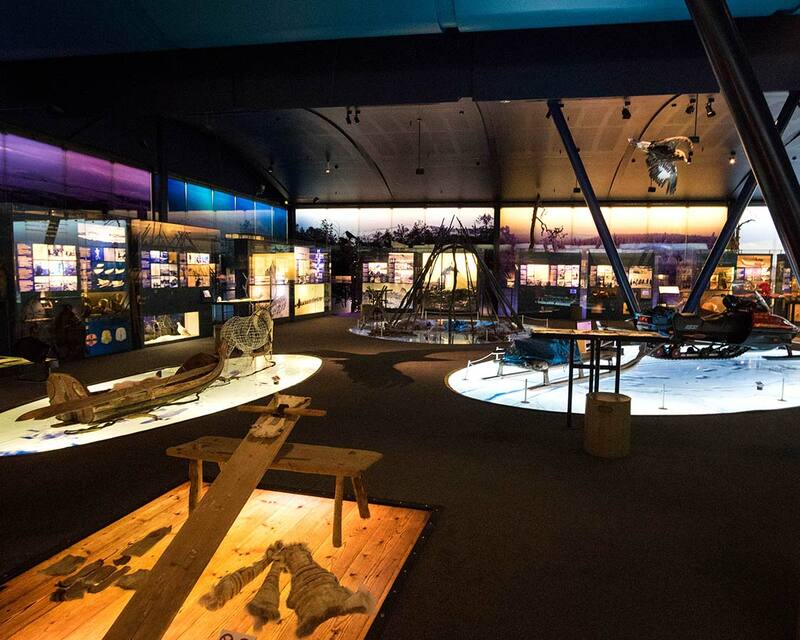 While visiting a political building might seem a little dry, Sajos is actually a fascinating glimpse into the culture of the first people of Lapland. The building, completed in 2012, includes photo galleries, media rooms, offices, and a local library. It also houses the Dujodi Shop, one of the best shops for getting authentic Lappish handicrafts and textiles. 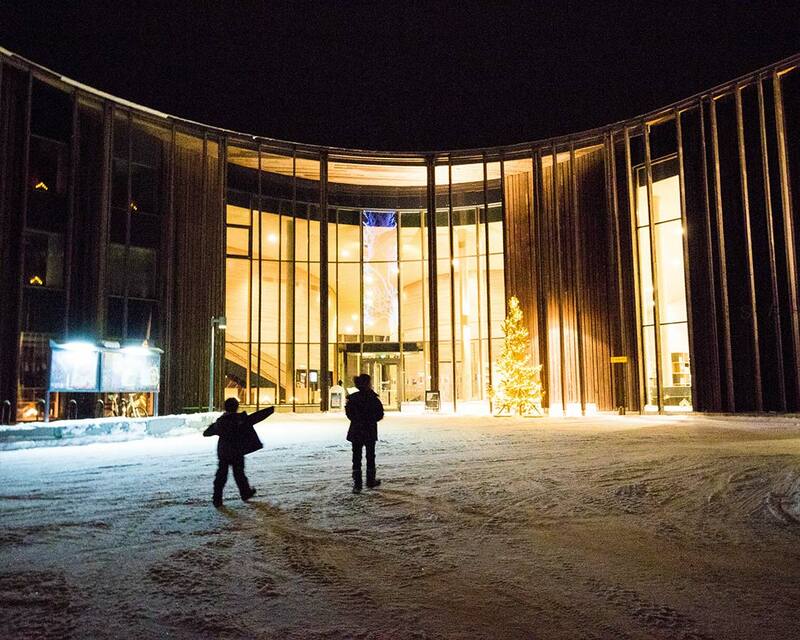 To learn more about the Sajos and the Sami Parliament, join a guided tour which is available on weekdays at noon. The € 8 pp (accurate as of 2019) tour includes coffee / tea cafe and a 15-minute short film by Sápmi – The Way of Being which shows modern Sámi life. Inari Lake is the largest lake in Lapland. The lake was crucially important to the Sami in Finland for both fishing and life. Ukonsaari (also known as Ukko’s island or Ukko’s rock) is a small, but tall island in the middle of Lake Inari in Inari Village. This island is a sacred place for the Sámi people. To this day, the Sami people continue to hold offering rituals on this island. During the summer, it is possible to join boat tours which visit the island. During the winter the island is a popular place for snowmobiling and cross-country skiers. Saunas are practically a religion in Finland. There is nearly one sauna for every adult in the country. Saunas are a great way to relax, especially after a day exploring the wonderful nature surrounding Inari Finland. Saariselka is home to three traditional Finnish smoke saunas. These are often paired with a swim in the cold water of a nearby river. We took part in a Finnish smoke sauna at Fell Centre Kiilopaa. Kilopaa is one of the best areas in Finland for hiking and nature. Our 7-year-old, C, was adamant that he take part in the experience. This shot is him thinking twice about his decision as he made his way down to the fell brook for ice swimming 260 miles north of the Arctic Circle in early December. 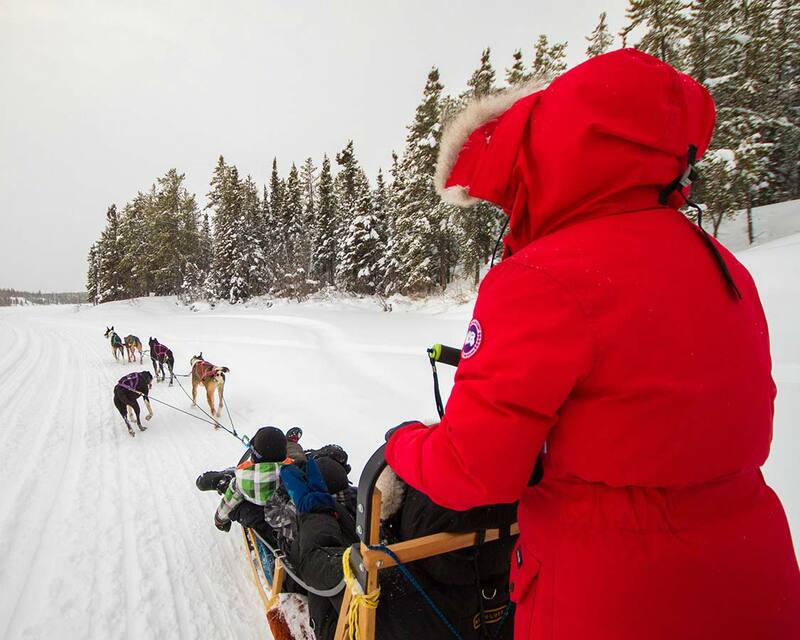 There are plenty of opportunities to take to the trails on either a Husky Safari or Reindeer Safari in Inari. Many of the outdoor activities run out of the popular resort town of Saariselka, about an hour south of the village of Inari. You can have the opportunity to mush your own dog sled team in arctic Finland. For those that just want to meet these beautiful dogs, it is also possible to arrange a visit to a farm where you can learn about the history of each dog and get a chance to meet and interact with them. We have taken part in dog sled rides in Canada in the towns of Yellowknife, Northwest Territories, and Mont Tremblant, Quebec, so we opted for the reindeer safari while we were spending our Christmas in Lapland. 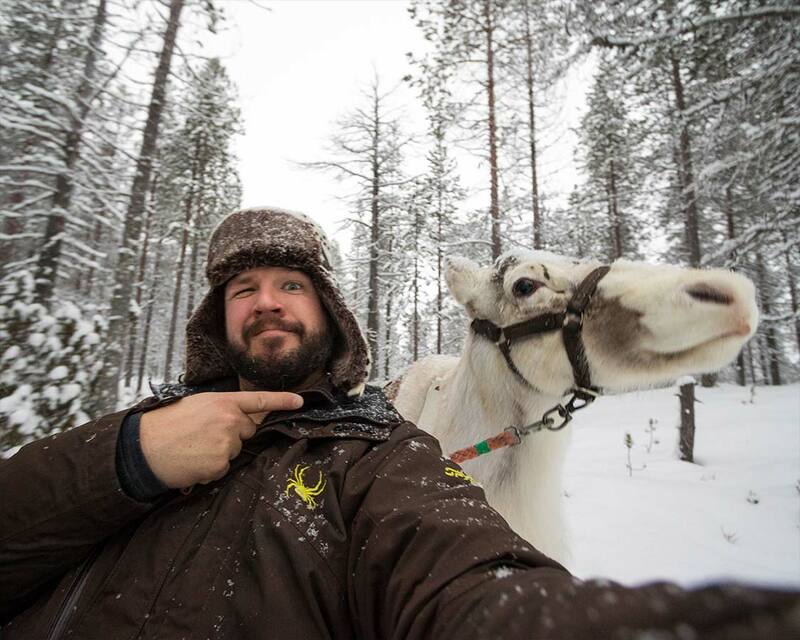 In comparison to the dog sledding adventures, the Inari reindeer safari is a much more laid-back experience. 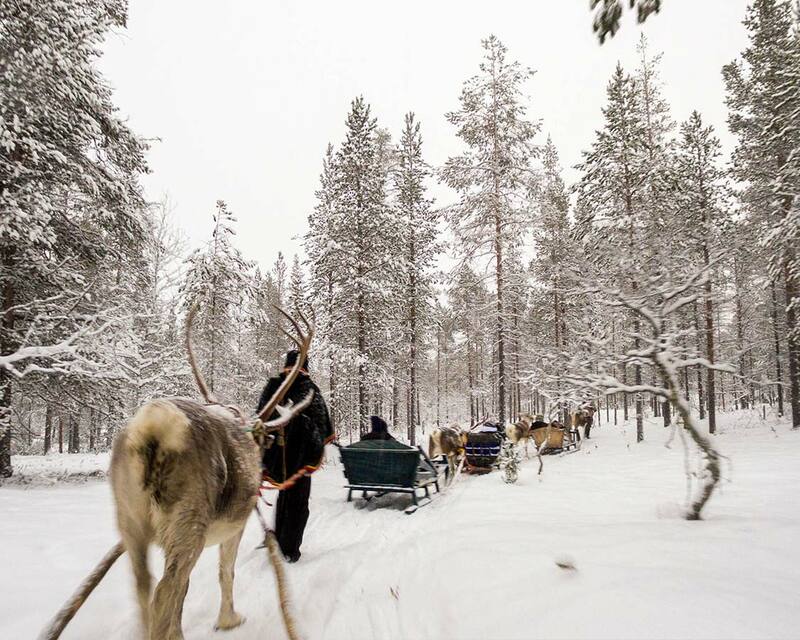 During most Inari reindeer safaris you relax on a wooden sleigh will being pulled by a reindeer. Reindeer are crucially important to life in Lapland. Along the way, we learned about the traditional means of travel for the Sami. For those that wish to learn more about reindeer, it is also possible to meet a reindeer herder and help feed the herd. Contrary to popular belief, there are no wild reindeer in Finland. While it’s not uncommon to see groups of reindeer wandering through the forests or along the highways in Lapland, all of these reindeer are actually privately owned. The reindeer herds are allowed to roam free during much of the year and are gathered up once or twice a year for culling. 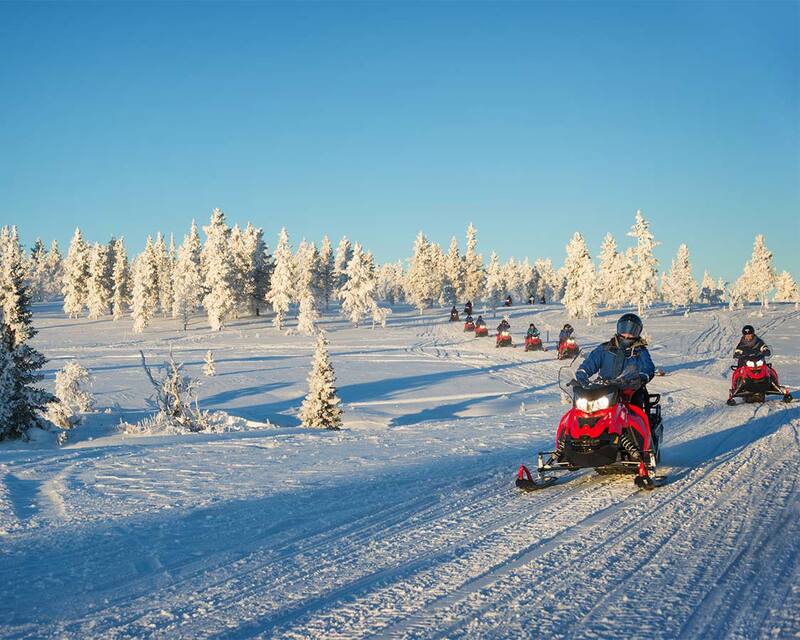 Snowmobiling in Inari is often closely tied to learning more about the Inari culture. A ride on Lake Inari, also named “Sami Sea” involves visiting some of the historical sites of the surrounding area, such as The old Sami village where only the Pielpajärvi wilderness church remains and the Sami sacrificial Island Ukko’s Rock. The wilderness church is a Lutheran church. It is one of the oldest buildings in Finland dating back to 1760. Skiing is a big part of outdoor life in Inari Finland. Cross country ski trails crisscross through the National Parks and wilderness areas. And once the lakes have frozen, places like Lake Inari are popular destinations for those who love to ski cross-country in Finland. Many of the areas such as Pielpejarvi Wilderness Church and Ukko’s Rock can be reach by cross country skiing in Inari. Although Finland isn’t a country with a lot of vertical, there are still downhill ski resorts in Inari available. Saariselka is home to the northernmost ski resort in Europe. 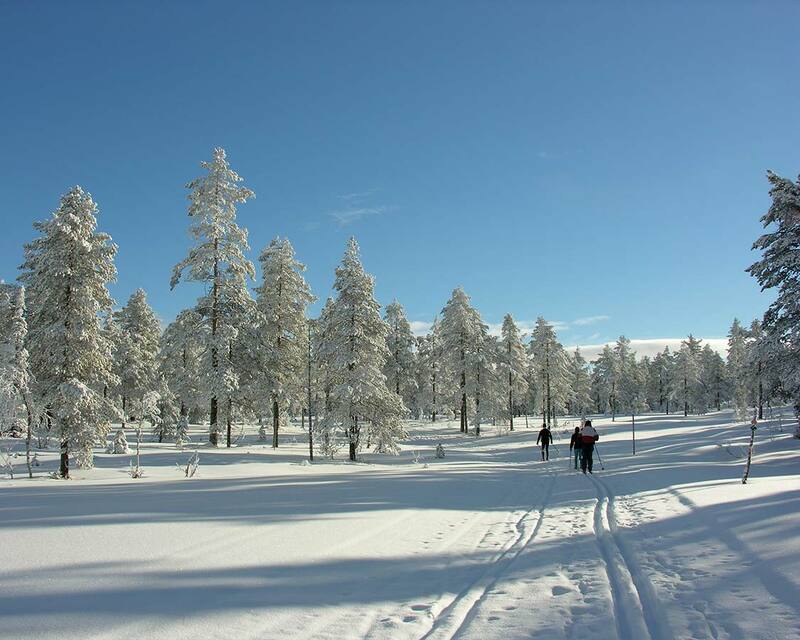 Lemmenjoki National Park and the Kevo Strict Nature Reserve are very popular destinations in Inari Finland for snowshoeing and cross-country skiing. These two large parks are part of a network of nature areas in Finland that make Lapland so special. Finnish parks are incredibly well cared for. There are countless trails that crisscross the parks as well as many of the other nature trails further south. And because of Finnish laws, nearly every area of Finland is accessible for nature explorers. Camping, hiking, and skiing is allowed on both public and private property so long as users are respectful of personal space and taking care of their environment. 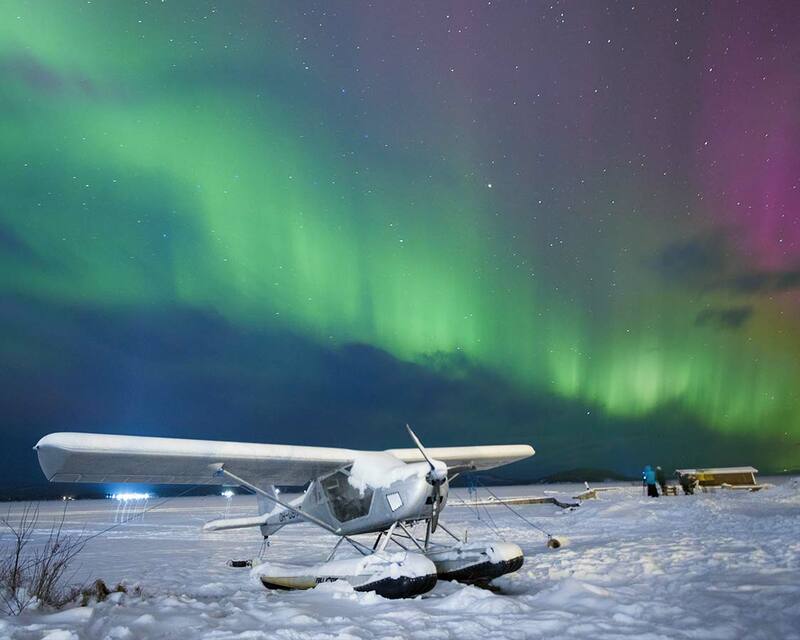 Finnish Lapland is one of the best places in the world for witnessing the northern lights. And the further north you travel, at least during the winter, the better your odds are of seeing the Aurora in Inari Finland. The best times to see the Northern Lights in Inari is during October and November and March and April. While it is darker during the months in between, it can be quite cloudy from December to February. One of the best places to see the Northern Lights in Inari Finland is on the shores of Lake Inari. Grab a cabin at Holiday Village Inari for excellent access to the shores of Lake Inari and you may be treated to one of the greatest shows on earth. With all the amazing things to do in Inari, you might be wondering how long should you plan to stay? The perfect Inari itinerary depends on what Lapland activities you want to take part in. Getting to Inari from Helsinki can require a bit of work. Either flying into Rovaniemi and heading north, or flying directly into Ivalo. A day trip to Inari likely won’t offer visitors enough time to appreciate how special this region is. 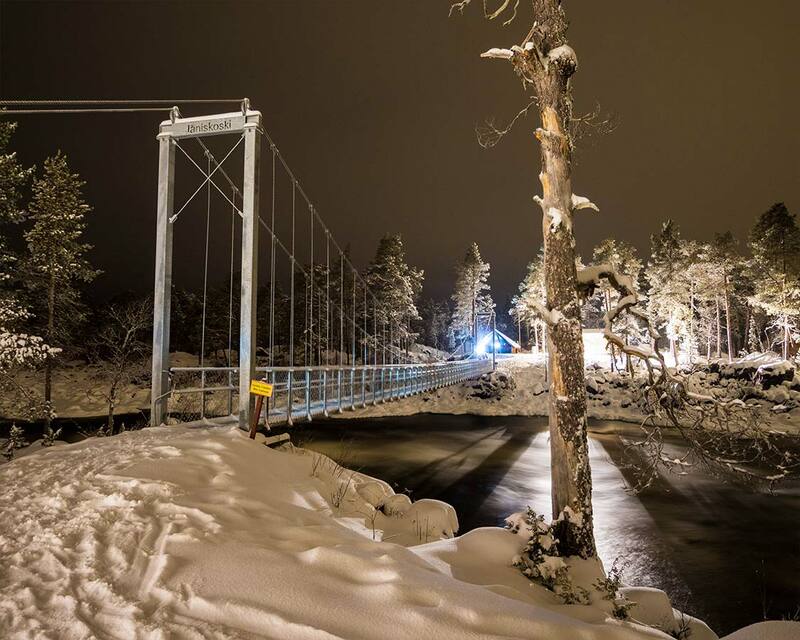 If you want to make the most of your travel to Inari in winter, we recommend spending 2-3 days taking part in great outdoor activities in Saariselka. From there, head north to the village of Inari and spend 2 days exploring the stunning wilderness and learning about Sami culture during the day. Your nights can be spent dining at local hot spots such as restaurant Aanaar at Tradition Hotel Kultahovi. 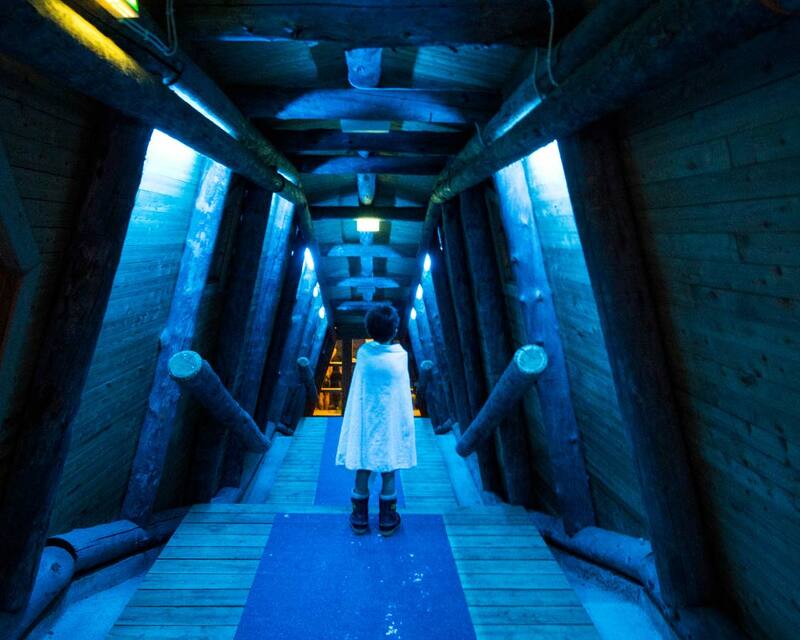 Should You Visit Inari With Kids? Inari Finland is a truly special place. And parents who brave the long journey will be rewarded with an unforgettable adventure. 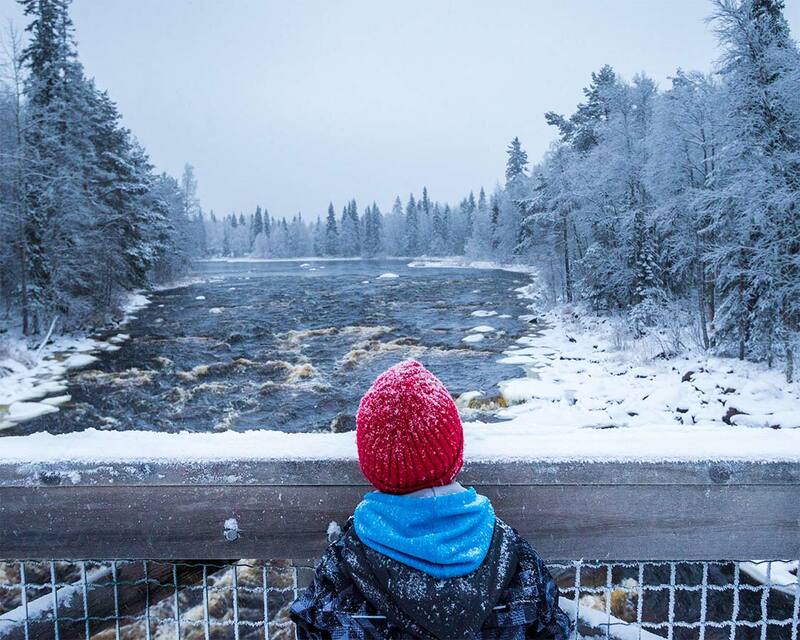 Visiting Inari with kids offers up truly spectacular memories. 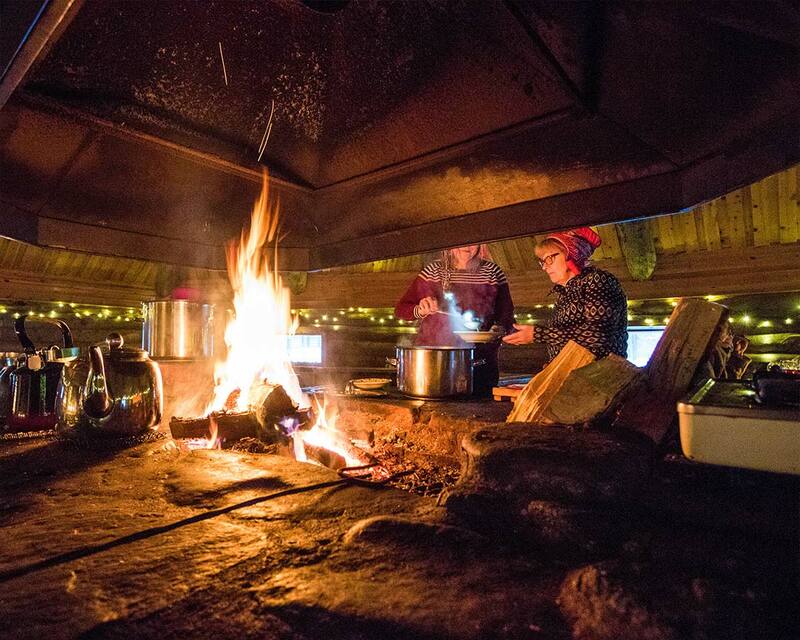 Nature loving families especially will love spending Christmas in Lapland. And for those willing to take the time to get to know the locals, your cold winter nights will be warmed by the company of warm-hearted people. 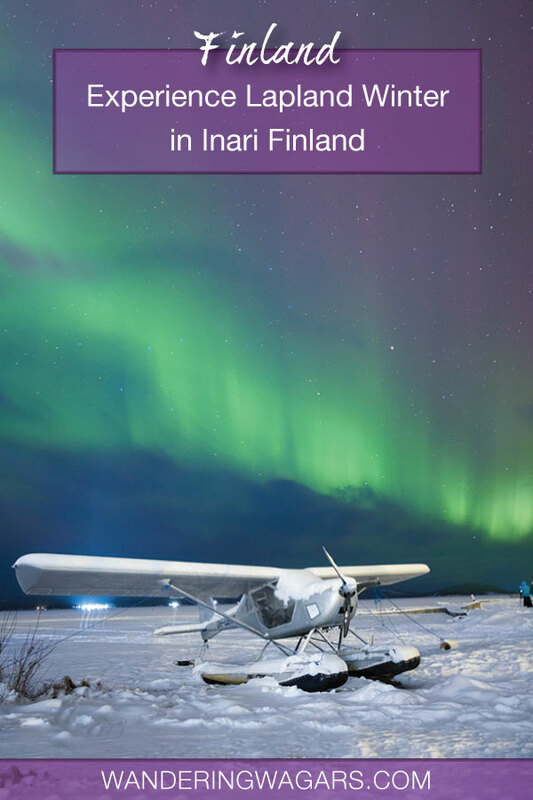 Have you visited Inari Finland? Tell us about your experience in the comments. Or, drop by our Facebook page and share a photo of your experience. We would love to share in your journey. the post is amazing! love your photos too! Thank you so much, Saudia! Beautiful piece of writing! Your pics are great as well, showing the beauty of my home country in winter! Haven’t been that high up north for a while, but would love to go early spring, as it’s magical time for a visit; the days are longer and often sunny, but there is still heaps of snow. Great tip about the spring! Another advantage of March/April is that it is one if the best times to catch the Aurora.